But to the person who loves and trusts God, the thought that God is with me at all times is one of the most beautiful thoughts imaginable. God is there when nobody else notices that I am serving them. He is watching as I take care of my children. He is with me when I get bad news about my health. He walks with me through the darkness of uncertainty, reminding me that He is certain. He places His power on my ministry to other people, making it spiritually fruitful. The credit of the Most High never was impeached, and never shall be. He is punctual to the moment: he never is before his time, but he never is behind it. Search God’s word through, and compare it with the experience of God’s people, and you shall find the two tally from the first to the last. Many a hoary patriarch has said with Joshua, “Not one thing hath failed of all the good things which the Lord your God spake concerning you; all are come to pass.” If you have a divine promise, you need not plead it with an “if,” you may urge it with certainty. The Lord meant to fulfill the promise, or he would not have given it. God does not give his words merely to quiet us, and to keep us hopeful for awhile with the intention of putting us off at last; but when he speaks, it is because he means to do as he has said. If you want to have a life of unfruitfulness, keep chasing new trends and paradigms. Keep looking for the easy way out, the shortcut. People who stay the same are people who don't like to work hard at growth, who don't want to put in the blood, sweat, and tears of a life of impact. My generation--we love to talk big about how we are going to change the world--but I wonder if we value faithfulness and steadiness like previous generations. If you want an insignificant life of spurts and starts and stops, keep chasing the next big thing, keep avoiding the hard choices, the sweat, the grind of daily life. Keeping your hand at the wheel, year after year, ensures a life of depth, of weight, of character. Now let me ask this. 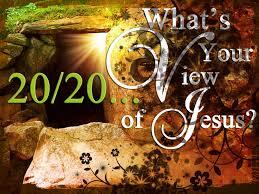 What is your view of God? If you think of God as remote and powerful, but basically unconcerned with the details of your life, you will lack warmth in your faith. Your view of God will be cold and distant. Your relationship with God won’t be marked by either a heart of trust or the practice of prayer. At best, God will be a distant sovereign, a king who doesn’t care too much. At worst, you’ll drift into either resentment towards God or practical atheism – living as if he doesn’t exist at all. On the other hand, if you think of God as near, personal, and caring, as a friend with whom you can talk, but not a God of exhaustive wisdom, power, majesty and sovereignty, then you will lack reverence in your faith. Your view of God will be mushy and sentimental. Your faith will sound as hollow as a Hallmark commercial. Maybe it makes you feel good, but will it really do any good? And over time you will likely drift away even from the warmth of friendship with God, because your faith will lack the gravitas that comes from knowing that he reigns as sovereign over all. But if your view of God rests on his unchanging revelation of himself in Scripture, your faith will be both strong and warm. You will not always understand God or his ways, but you will trust his inscrutable wisdom and his steadfast love. And you will be able to wait for him with quietness, diligence, and expectant faith. Two categories: the hopeless and the hopeful. We cannot live a holy life without Him.